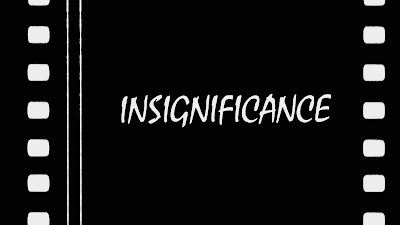 Insignificance is a film directed by Nicolas Roeg, and adapted by Terry Johnson from his play of the same name. It screened in competition at the 1985 Cannes Film Festival, where it received the Technical Grand Prize. It tells of a fictional meeting between four recognizable icons of the 1950's who are never named, during one long night in a New York hotel room. The film starts out with a stylish recreation of the filming of the famous subway grate scene from The Seven Year Itch, and whimsically follows the four individuals over the course of the next several hours. It's an amusing and entertaining offering from Roeg, but doesn't really stand out as anything special. The acting is competent but honestly none of the four would make it to the cast of a Vegas look-alike show. 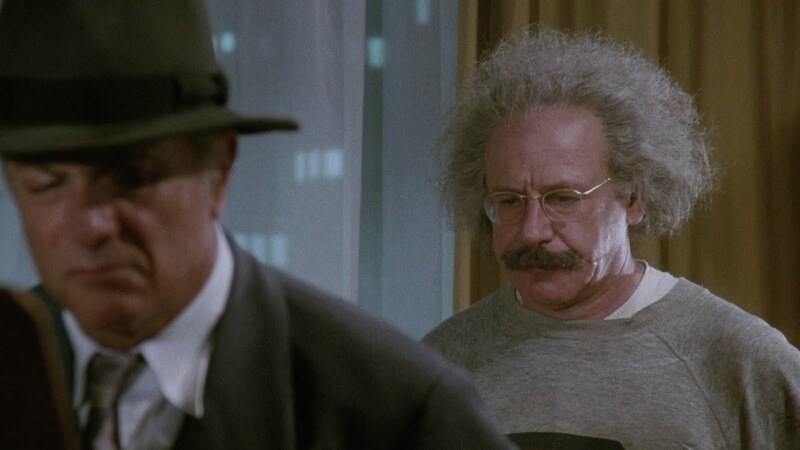 Nevertheless, the dynamic between Micheal Emil as The Professor (Einstein) and Theresa Russell as The Actress (Marilyn Monroe) is quite fun to watch, and the one fantastic scene of her explaining to him the Theory of Relativity using toy soldiers, trains and balloons is the highlight of the entire film. As for the other two leads, Gary Busey as The Ballplayer (Joe DiMaggio) doesn't leave much of an impression with a one note role as the jealous husband; and Tony Curtis as The Senator (Joe McCarthy) overacts every line and ends up being not more than a caricature. Roeg's stylistic direction and editing is what makes this worthwhile. Using camera tricks, sudden flashbacks and flash forwards, and one bombastic ending to elevate this from just being a stage play set to film. Still it is a bit of a disappointment compared to his 70's films, and you aren't really missing much if you give this one a pass. 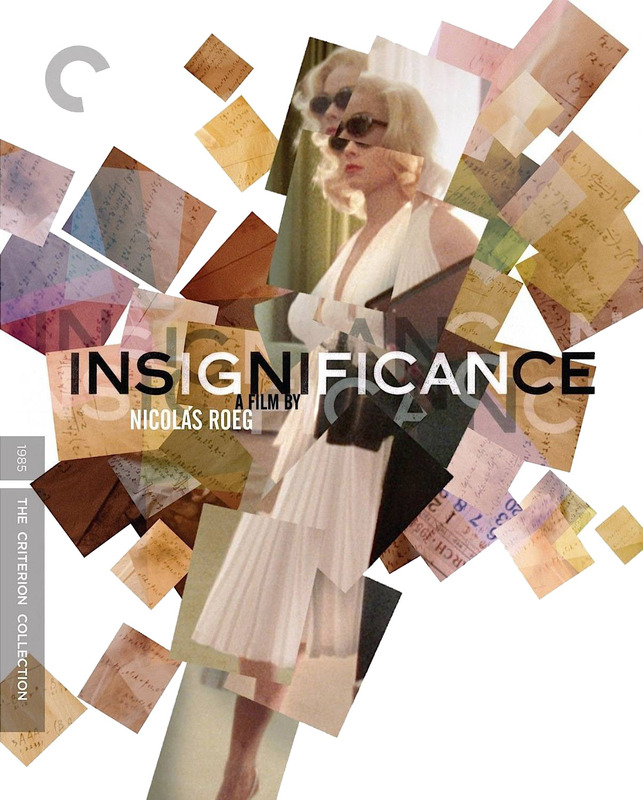 I can only recommend this one to either Roeg or Criterion completists. The girl caught my eye, let's give it a try. It was worth a watch. "Sure why not?" That is the perfect label for this type of film. 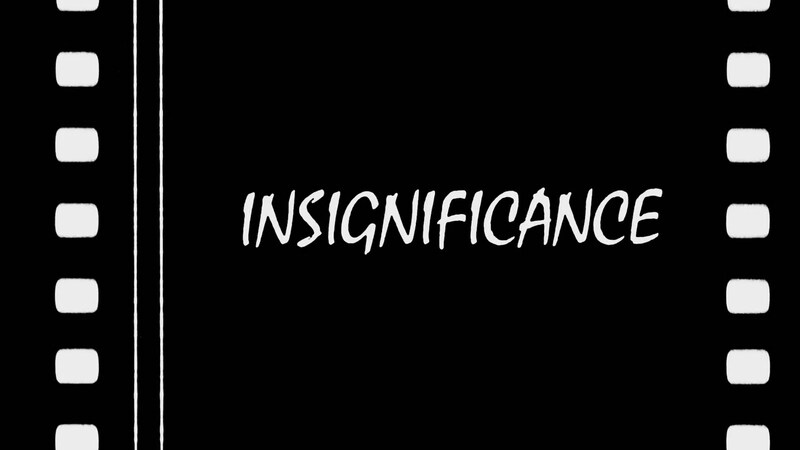 I love that album Insignificance, I found out about it because I'm a huge Wilco fan. Never realized it was a tribute to Roeg. Yeah interesting concept but doesn't really go anywhere with it. It does have it's moments. Well, I'm probably going to pass on this one. Looks like it could be fun, but eh. It's a 'sure, why not' film, not a 'this is gonna be amazing' film. Maybe I'll look into it later on. I think I may have seen this on television a long time ago. Interesting idea for a film. oh yeah, it is. definitely. Other than Walkabout, I would say the only other must see film of his is Don't Look Now. I really like the premise of this movie so it's too bad to hear that it's sort of mediocre. I've only seen two Roeg films so far (THE MAN WHO FELL TO EARTH and THE WITCHES) and the only other one I ever hear about is WALKABOUT. 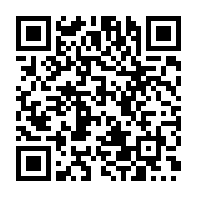 Do you have a good Roeg recommendation? Wow, Theresa Russell makes a good Marilyn.